Fail First policies — also known as Step Therapy — are often insurance practices which require the least expensive drug in any class to be prescribed to a patient first, even if a patient’s physician believes a different therapy is medically in the best interest for their condition. Sometimes the cheapest drug works and sometimes it doesn’t. Your physician should make this decision, not your health insurance company. Fail First policies – also known as Step Therapy – are insurance practices which require the least expensive drug in any class to be prescribed to a patient first, even if a patient’s physician believes a different therapy is medically in the best interest for their condition. Sometimes the cheapest drug works and sometimes it doesn’t. Your physician should make this decision with input from you, not your health insurance company. Why would insurance companies use Fail First/Step Therapy? 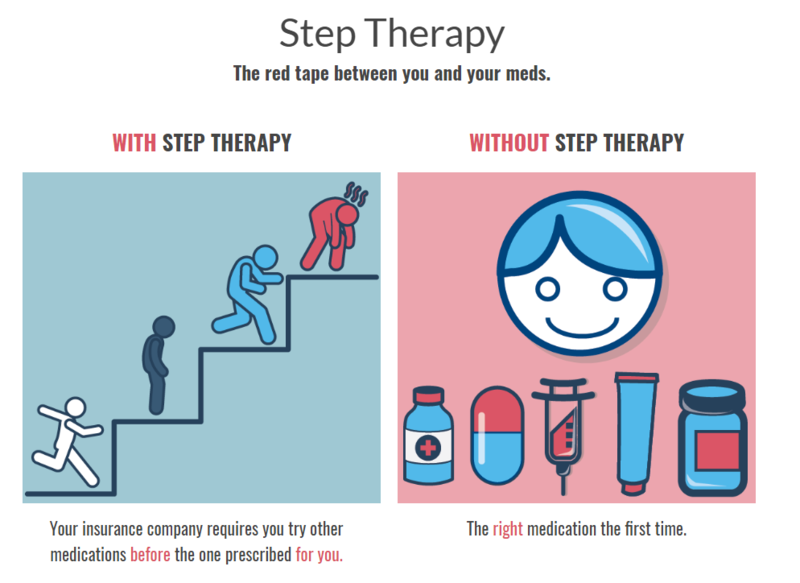 Fail First/Step Therapy policies are used by health insurers to control costs. However, they are time-consuming from a physician and patient standpoint and are more expensive from a direct and indirect out-of-pocket cost perspective. The practice denies patients the drugs they need when they need them, and allows insurance companies to practice medicine without a license. And, while fail first policies control costs, the savings do not result in lower premiums for you. Instead they produce higher profits for insurance companies. 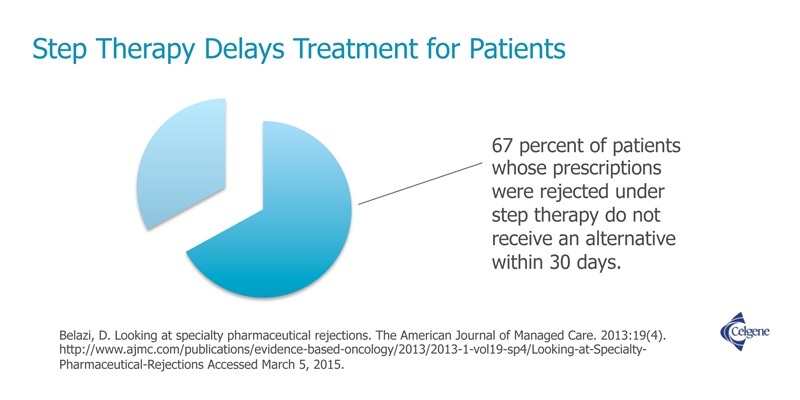 Can Fail First/Step Therapy harm patients? Increasing the risk of non-compliance and self-medication. 1 When a patient has to fail first on a drug before being allowed to take the medication originally prescribed, the patient, physician and public health suffers. 2Fail First policies intrude on the patient/physician relationship. This can lead to a wide range of issues for patients such as: prolonged illness, unstabilized care, potential for permanent damage, higher overall healthcare costs, and more. Legislation is the only thing that will ensure that fail first policies are fair and reasonable to the patients and not a source of profit for the insurer.